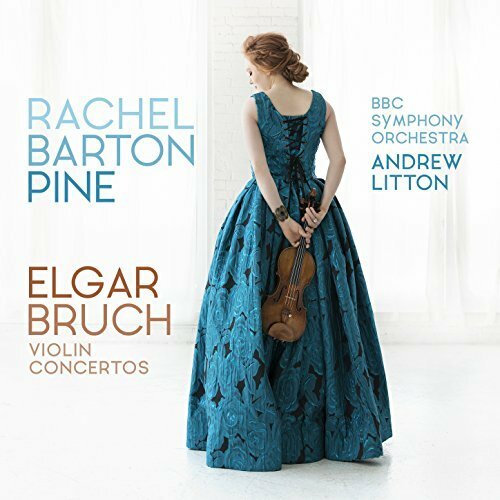 Just released January 5, 2018 is Elgar & Bruch Violin Concertos on Avie Records featuring Rachel with Maestro Andrew Litton and the BBC Symphony Orchestra, dedicated to the memory of Sir Neville Marriner who was originally scheduled to record it with Rachel. 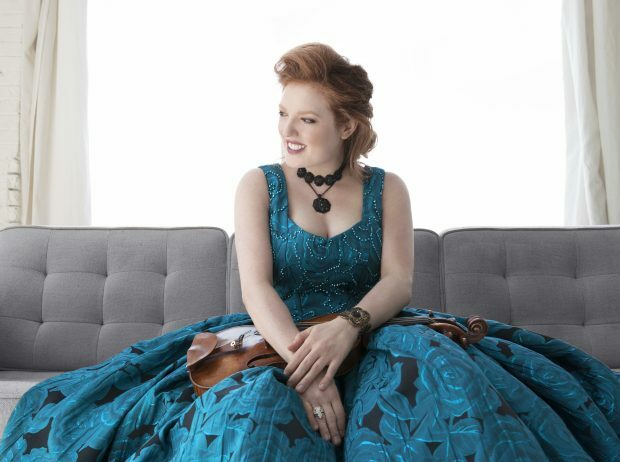 Rachel calls the Elgar & Bruch Violin Concertos an “indulgence in Romanticism.” This project is the first time that the shortest of the Romantic violin concertos frequently performed in concert (Bruch Violin Concerto No. 1 in G minor, Op. 26) has been recorded with the longest (the Elgar Violin Concerto in B Minor, Op. 61). While Rachel counts the Menuhin album of Bruch and Elgar as inspiration, it features two performances recorded in sessions many years apart paired together on a reissue. It was to be Sir Neville’s first recording of the Elgar, an especially meaningful project as his teacher (Billy Reed) had collaborated closely with Elgar in the creation of the violin concerto; Rachel’s interpretation pays homage to the insights Marriner gave to her before his passing. “There is such an incredible level of detail in Elgar’s score that it almost takes a microscope to study it; there are dots over notes, dashes over notes, instructions for the soloist to play one little spot on the D string and the other spot on the G string, even when sometimes it wouldn’t be intuitive to do so. I remember first learning the Elgar when I was starting out as a professional violinist; it took many, many months to not only play Elgar’s constant pushing and pulling accurately, but to finally internalize it to the point where the music felt natural. Sir Neville had beautiful things to say about the unusually dense amount of tempo fluctuation markings in the Elgar and placing all these technical challenges at the service of the music,” says Rachel. Sadly, Sir Neville passed away shortly before the recording. Maestro Andrew Litton stepped in with the same shared commitment of staying true to the score. “I’m incredibly grateful to Andrew Litton for doing such an excellent job. Our recording is faithful to 99% of what’s in print, and yet the music feels inspired, it is singing through all of us,” Rachel explains.